2014-2015	Developing services, strengthening cooperation and raising awareness about domestic violence. Bergman, S. H., Rantalaiho, M., Haskova, H., Pulkrabkova, K., Valiente, C., & Uhde, Z. (2012). Remaking Social Citizenship in Multicultural Europe: Women’s Movements’ Agency in Child-Care Politics and Policies. In B. Halsaa, S. Roseneil & S. Sümer (Eds.) Remaking Citizenship in Multicultural Europe: Women’s Movements, Gender and Diversity (pp. 94-118). Palgrave Macmillan. 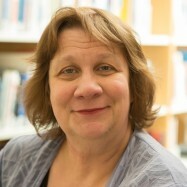 Moen, L. H., Bergman, S., & Øverlien, C. (2018). Forebyggende tiltak mot vold i nære relasjoner. Kartlegging av kunnskap for veien videre. Oslo: Nasjonalt kunnskapssenter om vold og traumatisk stress. (Rapport 2/2018). Kruse, A. E., & Bergman, S. H. (2014). «Jeg kan jo ikke kalle det noe annet enn vold…»: En forskningsoversikt og en intervjustudie om mødres vold mot barn. Nasjonalt kunnskapssenter om vold og traumatisk stress. (Rapport 4/2014). Korsvik, T. R., Bergman, S. H., & Rantalaiho, M. (2009). Research on political actions and claims by women’s movements and other NGOs in childcare and parental leave issues in Norway and Finland since the 1960s. FEMCIT/Nordic Gender Institute. Bergman, S. (2018 November). Prevention of Domestic Violence and Protection of Victims of Domestic Violence – work of state institutions and the practice of NGOs in Norway. Paper presented at Domestic Violence as a form of discrimination against women, St. Petersburg. Bergman, S. (2018 November). Prevention of Domestic Violence and Protection of Victims of Domestic Violence – work of state institutions and the practice of NGOs in Norway. Paper presented at Forelesning på Higher School of Economics, St. Petersburg. Bergman, S. (2018 November). Voldsforebyggende arbeid – prinsipper, kriterier og kunnskap. Foredrag på Den nasjonale konferansen om å forebygge vold i nære relasjoner 2018, Oslo. Bergman, S. (2018 November). Våld mot kvinnor och familjevåld: Vad gör myndigheter och civilsamhället? Vad kan vi lära oss av varandra i Norden?. Paper presented at Seminar i tilknytning til FN:s internasjonale dag om vold mot kvinner, Jakobstad. Bergman, S. H. (2016 May). Violent women and mothers – A Challenge for feminist Research. Paper presented at First International Interdisciplinary Conference: Women and men facing everyday challenges: Work and life demands and challenges in the context of gender, Lodz. Bergman, S. H., & Mørch, A. B. (2016 May). Impact of activities reducig gender-based violence and improving the quality of services for victims of domestic violence: NKVTS’ Collaboration With Estonian partners. Paper presented at Final Conference: Impact of Norway Grants and bilateral relations tackling gender-based violence in Estonis, Tallinn. Kruse, A. E., & Bergman, S. H. (2014 November). Frokostseminar: Lansering av rapporten «Jeg kan jo ikke kalle det noe annet enn vold…». NKVTS-rapport nr. 4/2014. Foredrag på Rapportlansering – frokostseminar, Oslo. Bergman, S. H. (2013 November). Bergman, Solveig: ‘Violence against Women as an Issue of Public Policy in Norway’. Paper presented at International Day for the Elimination of Violence against Women, Bratislava. Bergman, S. H., & Andersen, A. J. (2013 April). Research on Gender-based and Domestic Violence in Norway, with emphasis on NKVTS. Paper presented at Opening Conference, Programme on Domestic and Gender-based Violence, Norwegian Financial Mechanism, Tallinn. Halsaa, B., & Bergman, S. H. (2008 July). New challenges concerning design and methodology – challenges for ‘white’ and ‘majority’ researchers. Paper presented at New Research Agendas on Gender and Policy in the European Union, Madrid.